First class painting, decorating and property refurbishment services that you can rely on! Offering over 18 years’ experience, high quality products and techniques and a highly dedicated team that won’t stop until a project meets our incredibly high standards, we provide the complete domestic and commercial property refurbishment service. As one of Kent’s leading paintin g and decorating experts, we specialise in a comprehensive range of painting, decorating and property refurbishment services for domestic and commercial customers across Kent, London and the South East. From painting and decorating to electrics, plumbing, plastering and bathroom refurbishments, we can provide everything you need to improve the look and feel of your home, office, shop or school. 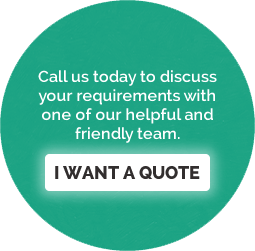 Call us today on 01732 456 603 to discuss your decorating requirements with one of our helpful and friendly team. They will also arrange your FREE no obligation survey and quotation. Whatever your interior and exterior decorating requirements, we will provide a cost effective, attractive and reliable solution. We don’t ask for any upfront payments or deposits and there will be no hidden charges at later stages. Having worked in the industry for nearly two decades, we only use products of the highest quality that are suitable for your project and location and we are committed to leaving your premises in a good, clean condition.